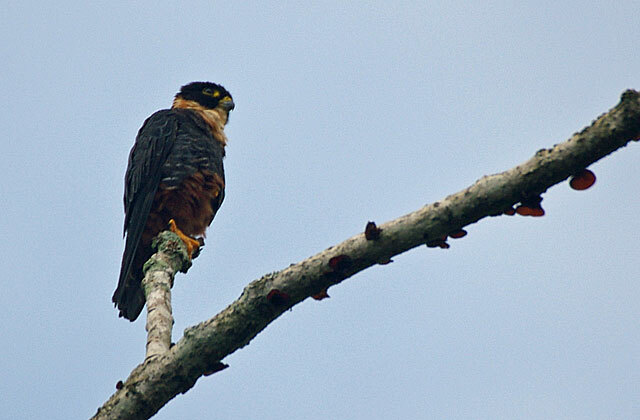 The laughing falcon (Herpetotheres cachinnans), also called the snake hawk (erroneously, since it is not a hawk), is a medium-sized bird of prey in the falcon family (Falconidae), the only member of the genus Herpetotheres. This Neotropical species is a specialist snake-eater. Its common and scientific names both refer to its distinctive voice.